Neyra offers an extensive line of sealcoating performance additives that help you get the most out of your sealcoating efforts by improving the efficiency and effectiveness of our sealcoating products. Neyra additives like Diamond Shield, Neyra QSA, Duraflex, Maxum and Armorflex provide you with increased durability and quick drying times. For more information about each of our additives, please see below. 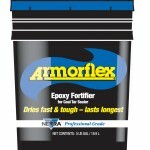 Armorflex is a water-based epoxy-latex additive designed as a fortifier for pavement sealers. Pavement coatings fortified with Armorflex will exhibit faster drying and greater resistance to power steering marks than unfortified pavement sealers. Armorflex increases the chemical and fuel resistance of pavement sealers. Duraflex is a water‑based polymer-latex additive designed as a fortifier for PaveShield, an asphalt emulsion pavement sealer. PaveShield fortified with Duraflex will exhibit superior durability and improved drying time than unfortified pavement sealers. 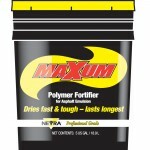 Maxum is a water-based polymer-latex additive designed as a fortifier for PaveShield, an asphalt emulsion pavement sealer. PaveShield fortified with Maxum will exhibit superior durability and greater resistance to power steering marks than unfortified pavement sealers. Maxum increases the chemical and fuel resistance of PaveShield. 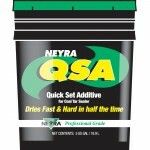 Neyra QSA is a water-based latex additive. When added to pavement sealers it significantly accelerates the drying time. Neyra QSA does not thicken the mixture. It can reduce labor costs as it may allow additional coats to be applied sooner. Sealers mixed with Neyra QSA perform well under cloudy or shady conditions and will exhibit greater resistance to power steering marks, scuffing and tearing. 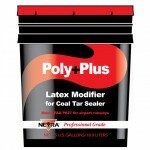 Poly+Plus is a chemical resistant synthetic rubber latex additive formulated to reinforce and extend Tarconite, a coal tar emulsion pavement sealer. This product also meets the requirements of FAA Item P-631.